Click on the performer’s name to read bio and then click on the player’s arrow to listen a music clip. Born in the small town of Szczecin, Poland, Chava Alberstein’s artistic development mirrors and reflects Israel’s development as a nation state. Alberstein was four years old when her family moved to Israel, and throughout her prolific career (more than 50 albums, many of which have become gold and platinum) Alberstein remained engaged with her people and nation, and is often considered the voice of Israel’s conscious. Gifted with a voice both velvety and powerful, and an ability to inhabit and perform her songs in a manner that transcends linguistic boundaries, Alberstein is a folk-pop singer that delivers in her songs accounts that are almost journalistic and inhabited with haunting images. She addresses local issues that are universally meaningful—immigration, racism, environmental destruction and faith. And although Alberstein has always been greatly respected by the Israeli media, she has never been afraid to voice her opinions. Her remake of the Passover song “Chad Gadia”, which she recorded during the intifada of the late 1980s, critiqued Israeli policy and oppression of Palestinians and was banned from the radio. The immigration story of Chava’s family is similar to that of many Jews who migrated to Israel in the 1950s, when the newly born country was little prepared to handle the multitude of refugees that were pouring in. In their first few weeks in Israel the family lived in a tent from which they moved to a transit camp of tin houses. They finally settled in Kiryat Bialik, north of Haifa. The physical conditions encountered in the transitional period by the family as well as the assimilative pressures and the arrogant attitude of native-born Israelis toward newcomers rendered the family close knit. At 17, Alberstein was invited to perform in a Jaffa nightclub. She sang four songs, accompanying herself on her guitar, with her brother Alex supporting her on clarinet. The night’s program at the nightclub was broadcast on the radio, following which Alberstein received an invitation to be a guest on one of the more popular programs of the time. Nachum Heiman, one of the stars of the period, invited her to sing with him. He also recommended her to CBS records, and CBS signed a recording contract with her. The following year Alberstein was drafted to the army. She was already a known artist and she spent her time in service traveling to different military bases and singing for soldiers. Numerous albums followed. Most of her songs were recorded in Hebrew, but few were in Yiddish or Arabic, and she also recorded a lot of children’s songs. Stylistically, especially early in her career, Alberstein drew on the native “songs of the land of Israel” genre, often adapting poems of prominent Israeli poets into songs. She was also inspired by American folk singers such as Joan Baez and Pete Seeger, and turned to performing her Yiddish repertoire while accompanying herself with the guitar. In the 1980s Alberstein began to write and compose her own songs, and her album Mehagrim (Immigrants) was the first to be made up mostly of her own material, with lyrics that are often filled with humor or sharp criticism. Chava has released more than 40 albums in Hebrew, six of which have been awarded the Kinor David (Harp of David) prize, the Israeli equivalent to the Grammy. Her early records in Hebrew such as Shirei Eretz Ahavati (Songs of my Beloved Country), Chofim (Beaches) and Kmo Tzemach Bar (Like a Wildflower) speak to the naïve, idealistic, recently born Israel. But Alberstein has never forgotten the Yiddish that was her mother tongue nor her relationship to Yiddish culture, which was rejected by the Israeli mainstream as a symbol of the Diaspora. She recorded six albums in Yiddish, including The Well, an album of Yiddish poems set to her own melodies and modeled after Eastern European folk songs, which she recorded with the Klezmatics. If Yiddish was once a symbol of weakness, Chava turned it into a symbol of strength, with the power to bring those now gone back to life. She also recorded an English album covering standards. In Israel, many of her records went gold, a few went platinum and one went triple platinum. Alberstein acted in two films by her husband, the director Nadav Levitan, and scripted Too Early to Be Quiet, Too Late to Sing, a 1999 documentary about a small group of Yiddish poets who survived World War II. Born May 24 1924 in Vienna, Theodore Bikel was thirteen when he and his parents left Austria for Palestine. Fluent in Hebrew, Yiddish, and German with a respectable command of English and French, he intended to study and eventually teach comparative linguistics. But the pull of the theatre was stronger and he joined the internationally famous Habimah Theatre in 1943 as an apprentice actor. A year later he became one of the co-founders of the Israeli Chamber Theatre (the “Cameri”). In 1946 Bikel entered London’s Royal Academy of Dramatic Art from which he graduated with honors two years later. It was also at this time that he began to develop a serious interest in the guitar and folk music. But he was first to make his mark as an actor. Sir Laurence Olivier was so impressed with Bikel’s performance in several small London theatre productions that he offered him a role in his production of A Streetcar Named Desire starring Vivien Leigh. Bikel soon took over the second male lead, Mitch, in the play. From Streetcar on, Theodore Bikel’s career has been illuminated by superior stage and screen portrayals. In London he won acclaim playing the Russian Colonel in Ustinov’s The Love Of Four Colonels and on Broadway his roster of memorable performances includes Tonight In Samarkand, The Rope Dancers, The Lark and the original Broadway production of The Sound Of Music in which he created the role of Baron von Trapp. Nationally he starred in a number of other plays, including tours of Zorba and Fiddler on the Roof. After having played the role of Tevye over 2,000 times since 1967 Bikel’s Tevye continues to garner the highest praise from audiences and critics nation-wide whenever he repeats the role. Theodore Bikel was co-creator, co-author and co-star of a new show entitled Sholom Aleichem Lives, performed in early 1997 in various Florida theatres. Among Bikel’s most well-known screen roles are the Southern Sheriff in The Defiant Ones (1958) (for which he received an Academy Award nomination as Best Supporting Actor), The African Queen (1951), The Little Kidnappers (1953), My Fair Lady (1964), The Blue Angel (1959), The Enemy Below (1957), The Little Ark (1970), The Dog of Flanders (1958), I Want to Live (1958), The Russians Are Coming, The Russians Are Coming (1965), See You in the Morning (1989), Shattered (1991), Crisis in the Kremlin (1992), Benefit of the Doubt (1992), and Shadow Conspiracy (1996). In these and numerous other roles Bikel’s flexibility of characterization is amply demonstrated: A Chinese crook, a Scottish police officer, an American university dean, A Russian submarine skipper, a Czech MVD officer, a Jewish refugee, a Greek peanut vendor, a Hindu doctor, an Austrian nobleman and a Hungarian linguist, among others. Mr. Bikel has also appeared in opera productions: La Gazza Ladra, Philadelphia Opera Company (1989); The Abduction from the Seraglio, Cleveland Opera Company (1992), Ariadne auf Naxos , Los Angeles Opera Company (1992), and Die Fledermaus, Yale Opera Company (1998). Bikel, who has starred in virtually every top dramatic show on television in the United States as well as in Canada and England, has repeatedly been nominated for “Emmy” awards and received an Emmy in 1988 for his portrayal of Harris Newmark, one of the early immigrant pioneers of the West Coast. As an author and raconteur, Bikel wrote and starred in NBC-TV’s The Eternal Light, for CBS-TV’sLook Up And Live and ABC-TV’s Directions. His 90 -minute television special One Night Standand his weekly radio program At Home With Theodore Bikel enjoyed national syndication. The author of Folksongs And Footnotes (published in the Sixties and about to be re-issued), Bikel is a frequent contributor to various journals and publications. His autobiography entitled “Theo” was re-released in 2002 by University of Wisconsin Press. One of the world’s best-known folk singers and a founder in 1961 of the Newport Folk Festival, the multi-faceted entertainer maintains an active concert schedule throughout the United States and abroad, with some 50 to 60 concerts per year, performing alone or with large symphony orchestras. He has recorded 16 albums for Elektra Records, an album of contemporary songs for Reprise Records entitled A New Day, in addition to cast albums of The Sound of Music and The King and I as well as a children’s album For the Young and Silent No More, an album of Soviet Jewish freedom songs smuggled out of the the USSR. In addition, he has participated with various groups in recorded projects such as The Fifth Cup, The Passover Story and The Chanukkah Story. Active for many years in the civil rights movement, Bikel was also an elected delegate to the 1968 Democratic Convention in Chicago. He formerly held the position of Senior Vice President of the American Jewish Congress, he served as President of the Actors’ Equity Association (1973-82), as a Vice President of the International Federation of Actors (FIA), (1981-1991), as a Board Member of Amnesty International (USA), and, by Presidential appointment, as a member of the National Council on the Arts (1977-82). He is currently the President of the Associated Actors and Artistes of America (4A’s). In addition to the many honors and awards he has received over the years, Theodore Bikel was awarded honorary degrees of Doctor of Fine Arts from the University of Hartford in 1992, Doctor of Humane Letters from Seton Hall University in 2001 and Doctor of Humane Letters from Hebrew Union College in 2005. On July 4, 2006 in Moscow, Russia, The World Union for Progressive Judaism conferred upon Theo the title of MAGGID. An American citizen since 1961, Theodore Bikel lives in California and Connecticut. He and his wife and have two sons, Robert and Daniel, who live in Los Angeles and Westchester, NY, respectively. To define versatility is to capture the essence of Theodore Bikel. For, in his own words, he is not a “specialist but a general practitioner in the world of the arts.” This is reflected in his multiplicity of talents: Bikel the actor on stage, screen and television; Bikel the folksinger and guitarist; Bikel the author, lecturer and raconteur; and Bikel the activist and arts advocate. Mr. Bikel made his concert debut at the Carnegie Recital Hall in 1956 in a folk song program; each year subsequently he has appeared in concerts throughout the U.S.A., Canada, and Europe. He has also appeared in concert in Israel, New Zealand, and Australia. Besides frequent appearances with symphony appearances with symphony orchestras in varied programs, he has also performed in the more intimate surroundings of some of the nation’s well-known clubs. Mr. Bikel has recorded 20 record albums mostly for the Elektra label in addition to a few releases on Columbia, Peter Pan, and Reprise. He is also an accomplished translator of song lyrics. Theodore Bikel was a co-founder of the Newport Folk Festival. Mr. Bikel’s book Folksongs and Footnotes, published by Meridian Books (World Publishing) in 1961 had 3 reprint editions. Numerous arrangements & adaptations of songs, see Folksongs & Footnotes, Meridian Books. © 1961 Nina Music. Picking a preference is surely a daunting task for a multi-faceted, multitalented person like Theodore Bikel. Yet it is true that theatre was not only Bikel’s first love among all the performing arts but that it has also continued to occupy a special place in his affections over his many years as a performer. proceeded to roles in London’s West End, the mecca of all English actors. Sir Laurence Olivier cast him in a small supporting role in Streetcar Named Desire, starring Vivien Leigh. But Olivier also gave him the understudy to the two male leads. Theodore Bikel played both roles at various times and eventually was asked to take over the second male lead, Mitch, a few months into the run. Stage roles followed in quick succession, the most notable a long run in Peter Ustinov’s The Love of Four Colonels. In 1954 while appearing in the West End play Dear Charles, Theodore Bikel received an invitation to appear on Broadway in a play starring Louis Jourdan entitled Tonight in Samarkand. From then on it was the American theatre to which he committed his energy, both on and off stage. It was his devotion to the theatre and to all who toil in it which caused him to be involved with Actors’ Equity, the union of stage performers which he served as vice president and then as president until 1982. Professionally Broadway theatre saw him in The Lark, The Rope Dancers and, most prominently in the world premiere of The Sound of Music in which he created the role of Captain von Trapp. Despite a flurry of film and TV commitments, Bikel managed to keep a steady and varied theatre career going. Highlights were Jacques Brel Is Alive and Well and Living in Paris, Zorba, The Rothschilds, The Good Doctor, The Inspector General, She Loves Me, and others. But the role he has been most identified with ever since 1967 is Tevye in Fiddler on the Roof, which by last count he has played more often than any actor -over 2000 times! A partial list of plays and musicals follows. Mr. Bikel made his film debut in The African Queen (1951) concurrently with his career on the London stage. This was followed by a number of roles in British and films shot in England and on the Continent. In America his motion picture career encompassed such varying roles as the French general in The Pride and the Passion, the Russian Colonel in Fraülein, the psychiatrist inI Want To Live and the Southern Sheriff in The Defiant Ones which earned him an Academy Award nomination. Other film roles followed: The impresario and owner of The Blue Angel, the Hungarian language expert (‘the hairy hound from Budapest’) in MyFair Lady, the submarine captain in The Russians Are Coming, The Russians Are Coming, the Indian doctor in The Sands of the Kalahari, the American folklorist in My Side of the Mountain, the Greek collaborator in The Angry Hills, the philosopher pal in Darker Than Amber, the Dutch sea captain in The Little Ark, the rock group manager in Frank Zappa’s 200 Motels, among many others. , Wolfgang Peterson’s Shattered, Crisis in the Kremlin, Benefit of the Doubt, a remake ofCrime and Punishment, and Shadow Conspiracy. As is evident from the array of film roles, Theodore Bikel is not only a gifted actor but an accomplished linguist and dialectician as well. He speaks seven languages and masters innumerable dialects. 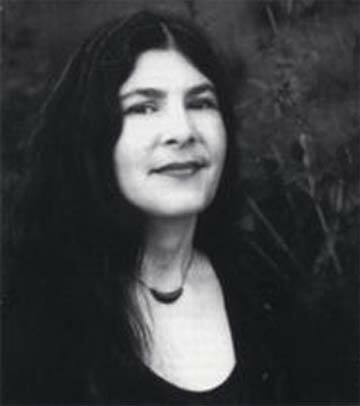 Adrienne Cooper (September 1, 1946 – December 25, 2011) was a Yiddish singer, musician and activist who was integral to the contemporary revival of klezmer music. In addition to her work as a Yiddish singer she was the assistant director at the YIVO Institute for Jewish Research, program director for the Museum of Chinese in the Americas, and executive officer for programming and executive officer for external affairs for the Workmen’s Circle. She co-founded Klez Kamp. She was a member of Jews for Racial and Economic Justice’s Board of Directors until the summer of 2011, when she was diagnosed with cancer. Cooper won the Rabbi Marshall T. Meyer Risk Taker Award from the Jews for Racial and Economic Justice in 2010, as well as KlezKanada’s Lifetime Achievement Award in Yiddish Arts and Culture. She died of adrenal cancer at Roosevelt Hospital in Manhattan on December 25, 2011, aged 65. She had been diagnosed in July 2011 and underwent surgery in August 2011.
Cooper is survived by her daughter, Sarah Mina Gordon, a vocalist and co-leader of the band “Yiddish Princess”, as well as her mother, two brothers, and her partner, Marilyn Lerner, a pianist-composer. A memorial service was held on the morning of December 28, 2011, at Congregation B’nai Shalom in Walnut Creek, California. The service was followed by a graveside funeral at Oakmont Cemetery in Lafayette, California. A memorial service in New York City was held on January 1, 2012 at Congregation Ansche Chesed. Shiva was held at Cooper’s daughter’s apartment in New York City. A Kholem/Dreaming in Yiddish, A Concert in Tribute to Adrienne Cooper has been organized for December 22, 2012, at the Kaye Playhouse at Hunter College in New York CIty. More than 50 Yiddish and klezmer musicians and global colleagues are slated to perform songs that Adrienne taught, sang, and recorded – these include the Klezmatics, Michael Wex, Shura Lipovsky, Dan Kahn, Theresa Tova, Zalme Mlotek, Eleanor Reissa, Wolf Krakowski, Michael Alpert, Michael Winograd, Sarah Gordon. Internationally recognized as one of this generation’s stellar performers and teachers of Yiddish vocal music, Adrienne Cooper appears on concert, theater, and club stages around the world. Her singing has been featured on some twenty recordings as well as on film, TV and radio. Cooper’s inspired innovations in music and culture production have been recognized by awards, grants and commissions from University of Pennsylvania’s Annenberg Center and UCLA, The Jewish Museum, United Synagogue, the National Endowment for the Humanities, the National and New York State Endowments on the Arts, the New York Council for the Humanities, and the National Foundation for Jewish Culture. She is the recipient of Klez Canada’s Lifetime Achievement Award in Yiddish Arts and Culture. Gevolt is an Israeli metal band, founded in 2001. The band is known as the pioneers of Yiddish metal. They were the first band who combined traditional Yiddish music with metal. The band was formed in Israel in 2001 by Anatholy Bonder (vocals), Yevgeny Kushnir (guitars), Oleg Szumski (drums) and Max Mann (bass guitars). In 2005 Marina Klionski (violins) joined. In 2006, Gevolt self-released their debut full-length album Sidur in Russian language. After the release Oleg Szumski left the band and was replaced by Vadim Weinstein, and Dmitry Lifshitz (synths) joined the band. Gevolt started recording of their second album in 2005, and released the 2-track promo single “Yiddish Metal” in 2007. In this single the band changed their concept and started singing in Yiddish, covering classic Yiddish songs. In 2008 Sidur had a US/Canadian re-release by Renaissance Records/Koch Entertainment Distribution. At the same time Marina Klionski left the band and Gevolt had two violinists, Anna Agre and Eva Yefremov. Anna Agre left the band after a year. In 2009, Yevgeny Kushnir left the band and was replaced by Michael Gimmervert. In 2010, Max Mann left and was replaced by Mark Lekhovitser. In February 2011, Gevolt released their second full length album, AlefBase. AlefBase, the first metal album fully with Yiddish lyrics, was released to positive reception and received media coverage in Die Welt, Jerusalem Post, and The Forward. In 2012, Mark Lekhovitser left Gevolt. In 2013, Michael Gimmervert left the band and new guitar and bass players Vadim Raitses and Anton Skorohodov joined. In 2013 the band performed at Folk-Fest Israel on one stage with Korpiklaani and Týr. Gevolt released a Nu Klezmer Metal single “Khokhotshet” was released in March 2015. Vadim Raitses and Anton Skorohodov left after releasing the single “Khokhotshet” in 2015. In 2016, Gevolt had a mini tour in China where it performed in two major events, Taihu Midi Festival and Dream Sonic Festival. For this tour the band formed a new line up with the return of Michael Gimmervert and including Alex Zvulun (Bass), Marianne Tur (Violin), and Dror Goldstein (Drums). Recently, it was suggested to Sherm Labovitz that he might record a collection of Yiddish songs. Sherm turned to Bob Freedman for advice and assistance. Bob and his wife Molly are the curators of the Jewish Sound Archive at the University of Pennsylvania. 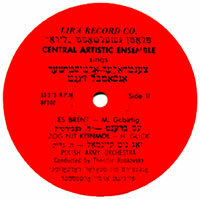 The Archive is the result of over forty years of collecting and cataloging more than 28,000 tracks of Jewish music. Freedman’s informed cooperation had a significant on the final selection of songs found in this disc, and he helped produce the liner notes. Freedman recommended Alexander Botwinik “the best person in the Philadelphia area” as accompanist and Yiddish coach. Botwinik, a Yiddish instructor at the University of Pennsylvania, and with years of piano experience, helped enable a passionate performance that respects the beauty and musicality of Yiddish and captures the joy and pathos of the Jewish experience. Violinist, Marvin Weinberger was for its first 10 years, the featured fiddler with the original Klezmer Conservatory Band. “The singing of Sherm Labovitz in his CD Mayn Oytser: Gems of Yiddish Art and Folk Songs is wonderful. I have been listening to it over and over again and will return to it. Some of the songs are old vintage, others are more recent, but Sherm sings all of them with a magnetic haunting nostalgia that makes one listen to them over and over again. Dan Ben-Amos, Professor of Folklore, University of Pennsylvania. Nechama Lifshitz (7 October 1927-21 April 2017) was a Lithuanian-Israeli singer who sings in Hebrew and Yiddish, and became a symbol of Judaism silence “for being refused permission to immigrate from the Soviet Union for many years. Nechama Lifshitz was born in 1927 in the city of Kaunas, Lithuania, Jewish Zionist family. Her father, Dr. Yehuda Hirsch Lifshitz (1980-1900), a physician and politician native culture Olkieniki Lithuania, studied in the yeshiva of Rabbi Reines Lida and later studied medicine at the University of Kaunas. In World War II fled with her parents and sister Tzipora east to Uzbekistan, where he served Her father is a rural community is small. in 1946, after the war, which in Soviet Lithuania. She studied at the Conservatory of the capital Vilnius, and in 1957 began performing as a soloist with the Philharmonic in Vilnius. began performing songs in Yiddish and Hebrew, conducted a tour across the Soviet Union and became a symbol and here Jews of silence and which to bestow Jewish immigration to Israel. In March 1969 came to Israel Lifshitz. When she performed first sang songs in Yiddish and Hebrew, as the “Jerusalem of Gold”, “A Walk to Caesarea (me, me) ‘and’ With Israel lives” of the poet Joseph Kerler became her trademark [ needed source ] . Released album recorded performances Jewish community was invited to tour the United States, Australia, England and Latin America. In 1978 she won Itzik Manger Yiddish literary work. Nechama Lifshitz was a librarian by profession, studied librarianship and archives at Bar Ilan University. Later she worked as archivist and music director of the public library in Tel Aviv. In 2004 she was awarded the darling of the city Tel Aviv. On 21 April 2017, Lifshitz passed away at the age of 89. Survived by her daughter, Rosa Gartner (Lithuanian), two grandchildren and four great-grandchildren. She was buried in the cemetery in the south. Peerce made his debut with the Metropolitan Opera on November 29, 1941, singing Alfredo in Verdi’s La traviata. He sang also the parts of Cavaradossi in Tosca, Rodolfo in La bohème, and in Gounod’s Faust. He was hailed by the critics as the “All-American successor to the ‘greats’ of opera’s almost extinct ‘Golden Age.’” In 1946 he sang and recorded Puccini’s “Tosca” with soprano Grace Moore and baritone Lawrence Tibbett at the Met. In September 1939, World War II began. Only two weeks later, on September 19, the Red Army entered Vilna, known as the “Jerusalem of Lithuania” and soon incorporated it into the Soviet Union.On June 24, 1941, the Germans occupied Vilna. As the Germans were sweeping east toward Moscow, they instigated their ruthless oppression and murderous Aktionen in the communities they occupied. In December 1941, there were several meetings between the activists decided to resist. Since the Germans had the ghetto surrounded, the only way out was through the sewers. Once in the forests, the fighters created a partisan division and performed many acts of sabotage. They destroyed power and water infrastructures, freed groups of prisoners from the Kalais labor camp, and even blew up some German military trains. It is ironic that The Polish Army Orchestra, recorded this version a few months before they exterminated the Jewish survivors who returned to Poland after the Holocaust. Paul Robeson was an acclaimed 20th-century performer known for productions like ‘The Emperor Jones’ and ‘Othello.’ He was also an international activist. Born on April 9, 1898, in Princeton, New Jersey, Paul Robeson went on to become a stellar athlete and performing artist. He starred in both stage and film versions of The Emperor Jones and Show Boat, and established an immensely popular screen and singing career of international proportions. Robeson spoke out against racism and became a world activist, yet was blacklisted during the paranoia of McCarthyism in the 1950s. He died in Pennsylvania in 1976. Robeson made a splash in the theater world as the lead in the controversial 1924 production of All God’s Chillun Got Wings in New York City, and the following year, he starred in the London staging of The Emperor Jones—both by playwright Eugene O’Neill. Robeson also entered film when he starred in African-American director Oscar Micheaux‘s 1925 work, Body and Soul. Although he was not a cast member of the original Broadway production of Show Boat, an adaptation of an Edna Furber novel, Robeson was prominently involved in the 1928 London production. It was there that he first earned renown for singing “Ol’ Man River,” a song destined to become his signature tune. Robeson’s last movie would be the Hollywood production of Tales of Manhattan (1942). He criticized the film, which also featured legends like Henry Fonda, Ethel Waters and Rita Hayworth, for its demeaning portrayal of African Americans. Having first played the title character of Shakespeare‘s Othello in 1930, Robeson again took on the famed role in the Theatre Guild’s 1943-44 production in New York City. Also starring Uta Hagen, as Desdemona, and José Ferrer, as the villainous Iago, the production ran for 296 performances, the longest-running Shakespeare play in Broadway history. A beloved international figure with a huge following in Europe, Robeson regularly spoke out against racial injustice and was involved in world politics. He supported Pan-Africanism, sang for Loyalist soldiers during Spain’s civil war, took part in anti-Nazi demonstrations and performed for Allied forces during WWII. He also visited the Soviet Union several times during the mid-1930s, where he developed a fondness for Russian folk culture. He studied Russian, as did his son, who came to reside in the capital city of Moscow with his grandmother. Yet Robeson’s relationship with the U.S.S.R. became a highly controversial one, his humanitarian beliefs seemingly contrasting with the state-sanctioned terror and mass killings imposed by Joseph Stalin. In the U.S., with McCarthyism and Cold War paranoia looming large, Robeson found himself contending with government officials looking to silence a voice who spoke out eloquently against racism and had political ties that could be vilified. When he was 17, Robeson earned a scholarship to attend Rutgers University, the third African American to do so, and became one of the institution’s most decorated students. He received top honors for his debate and oratory skills, won 15 letters in four varsity sports, was elected Phi Beta Kappa and became his class valedictorian. From 1920 to 1923, Robeson attended Columbia University’s Law School, teaching Latin and playing pro football on the weekends to pay tuition. In 1921, he wed fellow Columbia student, journalist Eslanda Goode. The two would be married for more than 40 years and have a son together in 1927, Paul Robeson Jr.
Paul Leroy Robeson was born on April 9, 1898, in Princeton, New Jersey, to Anna Louisa and William Drew Robeson, an escaped slave. Robeson’s mother died from a fire when he was 6 and his clergyman father moved the family to Somerville, where the youngster excelled in academics and sang in church. Robeson and his family returned to the United States in 1963. After Eslanda’s death in 1965, the artist lived with his sister. He died from a stroke on January 23, 1976, at the age of 77, in Philadelphia, Pennsylvania. In recent years, efforts have been made by various industries to recognize Robeson’s legacy after a period of silence. Several biographies have been written on the artist, including Martin Duberman’s well-received Paul Robeson: A Biography, and he was inducted posthumously into the College Football Hall of Fame. In 2007, Criterion released Paul Robeson: Portraits of the Artist, a box set containing several of his films, as well as a documentary and booklet on his life. In the last years of her long singing and songwriting career, Rebecca Wave brgan exploring the rich heritage of Jewish song. From singing folk songs on the front porch while her father played an old guitar, she progressed to years of piano and cello lessons, stage and choral singing and playing recorder on the roof. She found herself with guitar in hand at 23, singing songs that percolated up from the flood plains and tidepools of her life. After a long period of traveling the country with various cats, dogs and people, and working a stunning variety of day jobs, Rebecca has stayed in Santa Barbara long enough to raise two children and record three albums. Her style has been influenced by (almost) every genre: classical, pop, jazz, rock, folk, alternative, gospel, yiddish, blues, r&b, world music, techno… What has emerged is a direct, passionate voice with a lot to say about grief, joy, confusion, clarity, love and lust. Melodies as simple as a childhood dream or complex as an extended jazz riff deliver lyrics that cut to the heart. Although no yiddish was spoken in her home, her childhood was full of music from many cultures and eras, awakening a lifelong love of music in all its forms. Chances are that if you went to hear classical music in the last 50 years in Santa Barbara, you would have either run into John A. Sonquist or heard him play. His enthusiasm for creating venues for people to share chamber music was insatiable. He could arrange music for any configuration of instruments and voice. His astonishing collection of music and his unique arrangements (30 boxes!) were donated to the Santa Barbara Music Society to form the core of a lending library for young musicians. John was born in Elmhurst, Illinois, to J. Albert and Clare Sonquist. He started playing piano at age 4 and was a local child virtuoso. His father died when John was a child, and his mother went to work as a riveter, leaving John responsible for taking care of his little sister. 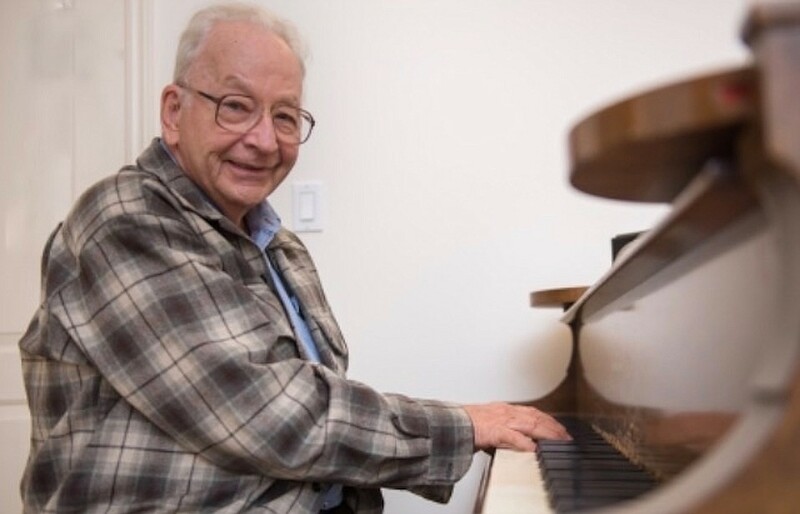 His uncle, Dave Sonquist, a visionary in the co-op movement and a musician, took John under his wing, encouraging him to study piano and prepare for college. Uncle Dave was the director of Circle Pines Center, a recreational co-op in rural Michigan. The summer he was 16, John went to Circle Pines, and his life changed forever when he met Hanne Deutsch — who would become his wife of nearly 60 years. Both John and Hanne went to the University of Chicago, studying the Great Books curriculum. Living in married student housing, they put themselves through school calling square dances. John was a conscientious objector. His alternative service was from July 1953 to May 1955, serving as a recreation coordinator at Manteno State Hospital. John went on to earn his PhD from University of Chicago, becoming a pioneer in computer applications in social science in the 1950s. After directing Computer Services of the Institute for Social Research at the University of Michigan in the ’60s, mid-career, John felt his calling was academia, and he joined the sociology department at UCSB in 1970 as an associate professor. He designed a unique array of courses dealing with computer use and social impact, dubbed “Sonquist Tech,” which covered themes ranging from introductory concepts to computer simulations and artificial intelligence. His key work in multivariate analysis is still used today. An avid musician, John played chamber music actively through his life. After his retirement in 1991, he organized and played in festivals, coordinated the noon concert series at the library, and served on the board of the Piano Club of Santa Barbara and statewide chamber music societies. He could be found every season enjoying the Music Academy of the West master classes and concerts by Santa Barbara Chamber Orchestra and Camerata Pacifica, and at UCSB Arts & Lectures. He also performed and recorded with musicians in Santa Barbara. John’s curiosity and scholarship combined with his talent and passion were shared with musicians around the state. On his 60th birthday, Hanne rented Hahn Hall, and all of his musical friends performed concerto grossi. John reciprocated with one of the Mozart piano concerti. For his 70th birthday, a large array of professional and amateur musicians played a concert in his honor at a large local church. John’s taste in music was wide ranging and included classical, baroque, jazz, folk, international — you name it. His humorous rendition of “The Twelve Days of Christmas,” shared with a wide variety of people either at the Sonquist annual holiday open house or, if you were lucky, just because, inspired many young pianists to try to imitate it with their own version laced with the styles of Brubeck and Rachmaninoff, among others. In the last six-plus years, he organized concerts and the Vocalizers, a singing group at Valle Verde — where he lived and had many dear friends — and accompanied several soloists and duos. John and Hanne fostered community wherever they were — UCSB, Starr King Parent-Child Workshop (where Hanne was the director for more than 25 years), the Quaker and progressive communities, and music circles. Their three children, Eric, Catherine, and Kristin, grew up surrounded by folk music, political action, art and literature, and community. As a family, they went to Washington, D.C., and New York to march for civil rights and peace. Together, John and Hanne devoted much of their lives to supporting peace, social justice, and human and civil rights. John felt a strong commitment to serving the progressive community. Many Santa Barbara events could take place because John provided the PA system or technical support. His penchant for “having the right tool for the job” made his contribution behind the scenes irreplaceable. (His children remember that when each bought their first car, he spent hours teaching them how to tune it themselves, including providing the toolkit necessary to do so!) He studied nonprofit governance with the same thoroughness and curiosity that he studied everything — in order to contribute at the highest level. John served as a boardmember of the local chapter of the ACLU for over two decades. In more recent years, John served as a pianist and music director for Live Oak Unitarian Congregation and became a dedicated member, developing a special community of friends, especially after Hanne died in 2009. John Sonquist leaves a legacy of integrity, curiosity, dedication, joy of music, and bear-hugs with his son Eric Sonquist (wife Anita, children Jessica Sonquist and Zoe King, and Zoe’s husband Bryan and baby Grayson); and his daughters Catherine Sonquist Forest (husband Will and children Kelsey and Owen Forest) and Kristin Firrell (husband Graham and child Scarlett Peterson and her husband, Preston); and a tightly knit extended family.